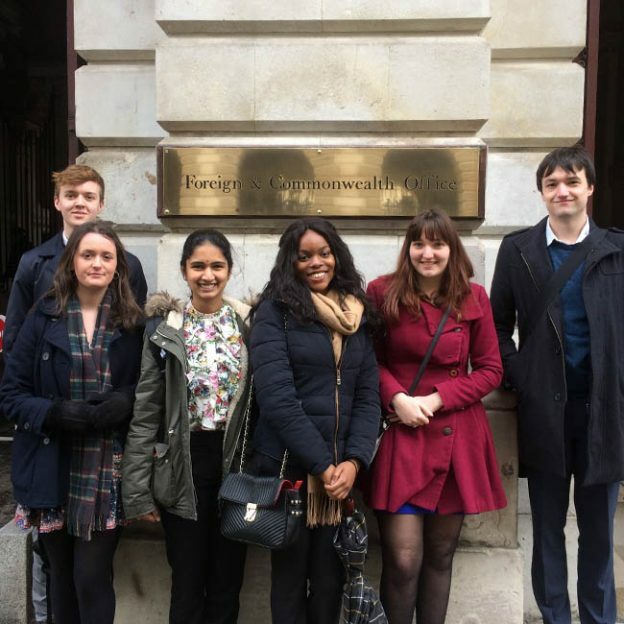 Six of our Economics students were lucky enough to have been selected to attend a fantastic insight day in Whitehall on Wednesday 7 March. The day was co-organised by the Civil Service and the School of Economics and was hosted by the Civil Service Finance Fast Stream. It was a very interesting and useful day involving tours of the Foreign and Commonwealth Office, Ministry of Justice and the department for Business, Energy & Industrial Strategy. The students also had the opportunity to meet and chat with Civil Servants about their roles and see what it is like to work in there. The day ended with a trip to the House of Commons to listen to a debate. This entry was posted in Current Students, Employability, Undergraduate on March 15, 2018 by cm894.